Halloween came early. 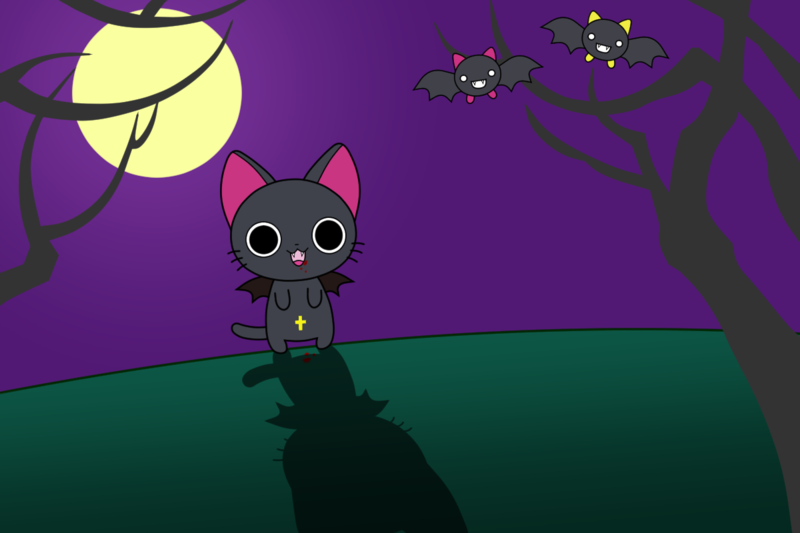 I'm guessing seeing this cute little guy crossing your path is the treat, while the potential vampirism is the trick. Nothing a little garlic or catnip can't prevent.